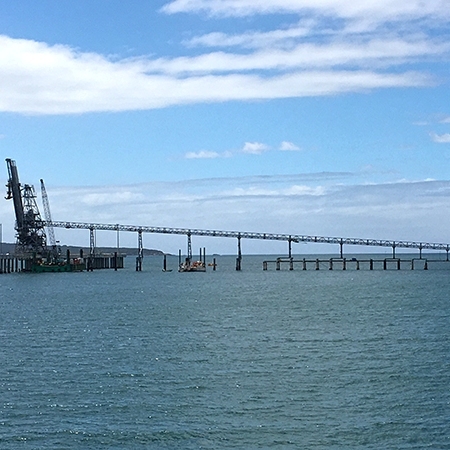 In June 2016 a devastating storm hit the East Coast of Australia resulting in a 17m wave destroying the Allied Natural Woodchip wharf in Eden NSW. 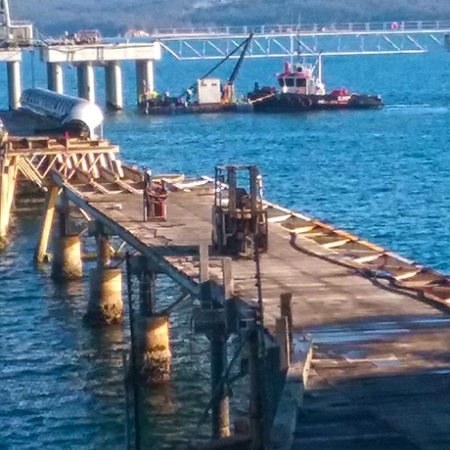 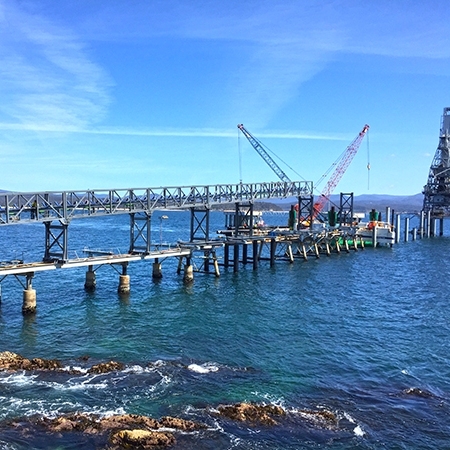 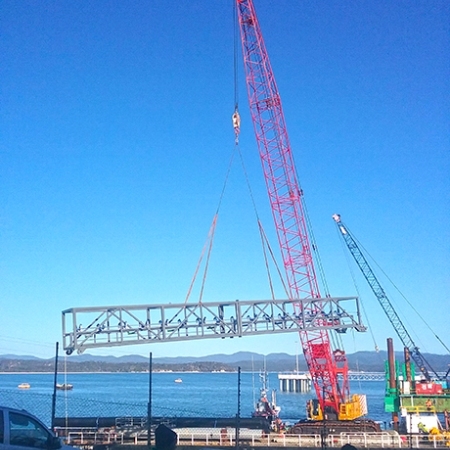 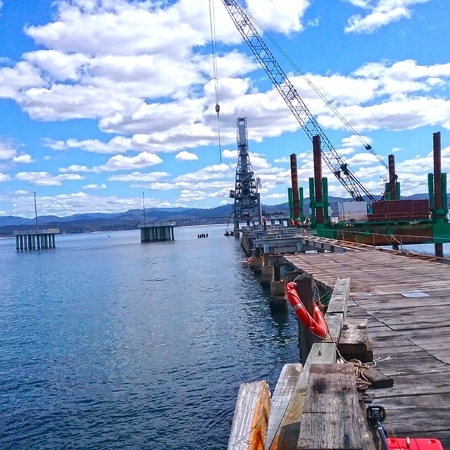 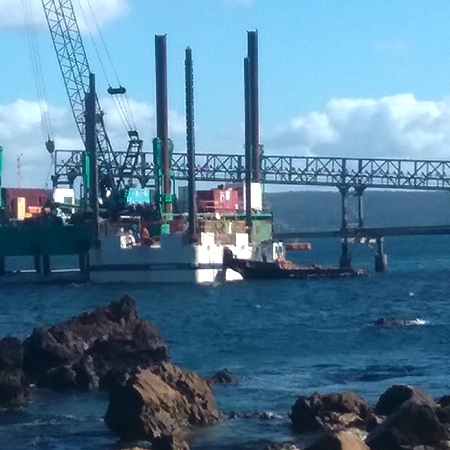 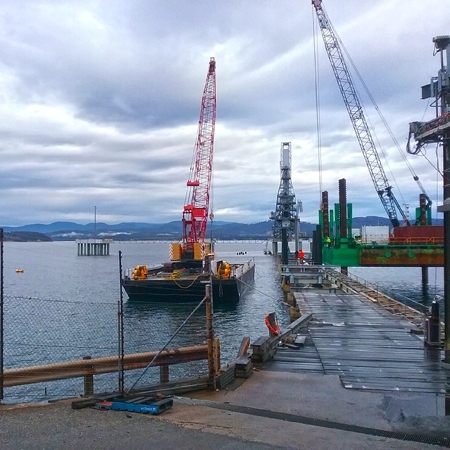 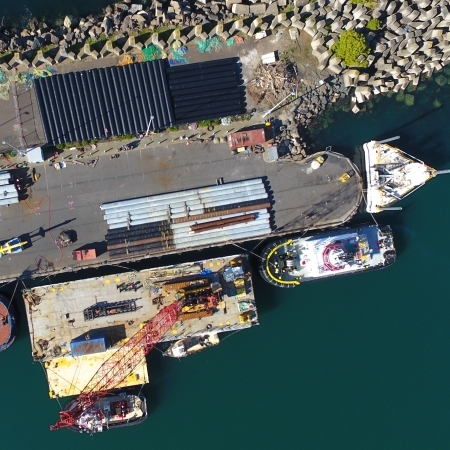 The contract to rebuild a new wharf had critical time restraints and ANWE were desperate to find a contractor who would undertake such a massive task. 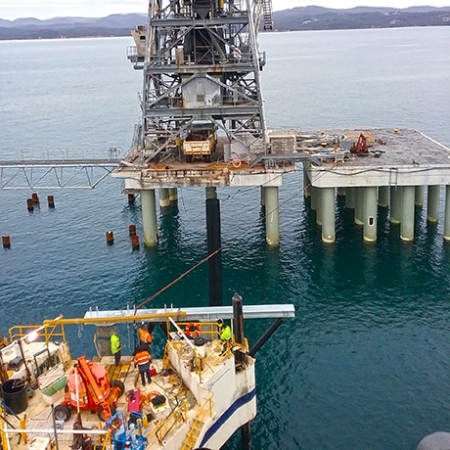 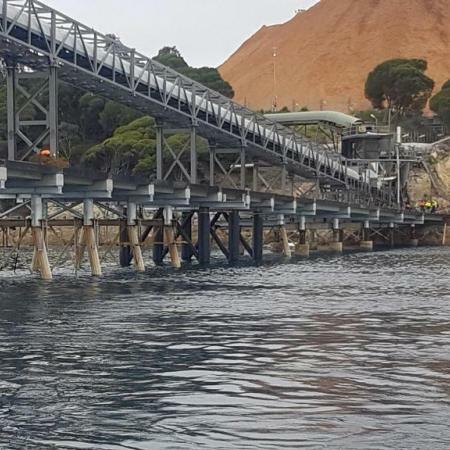 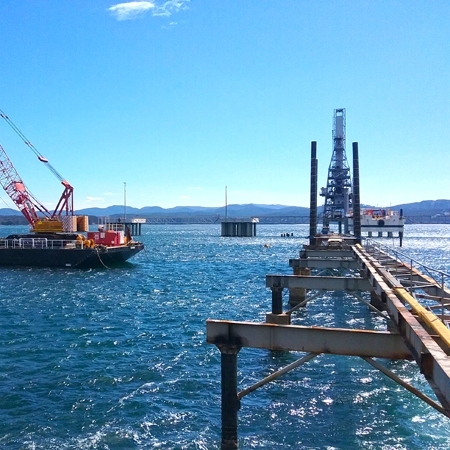 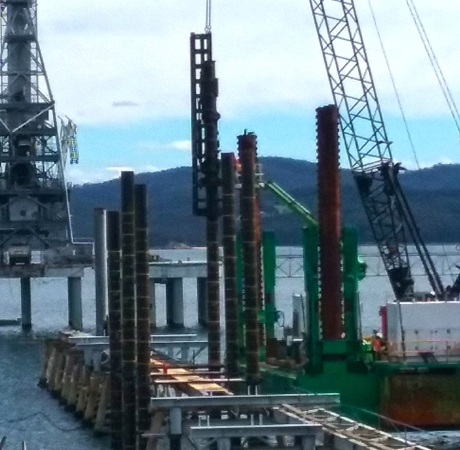 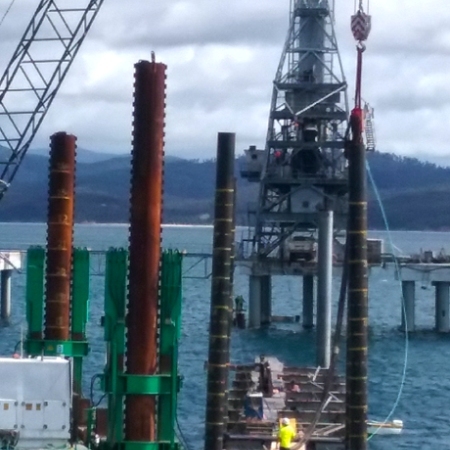 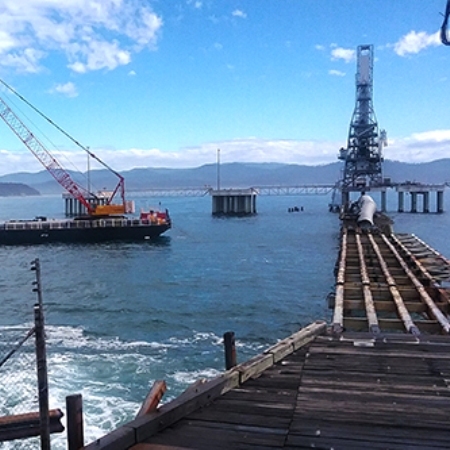 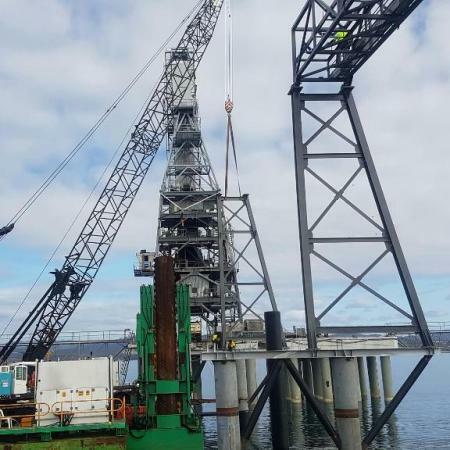 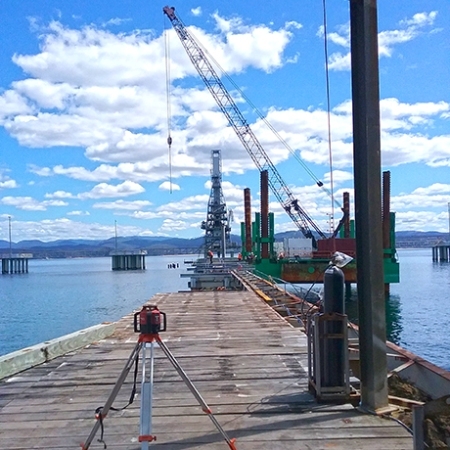 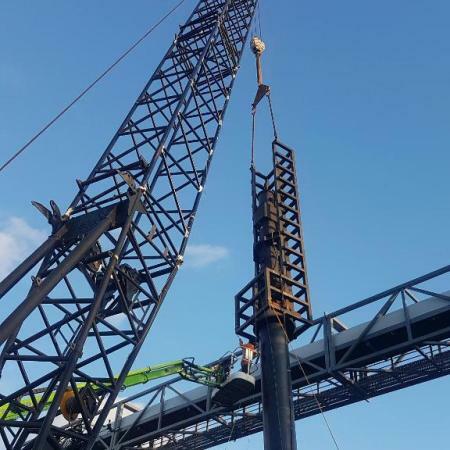 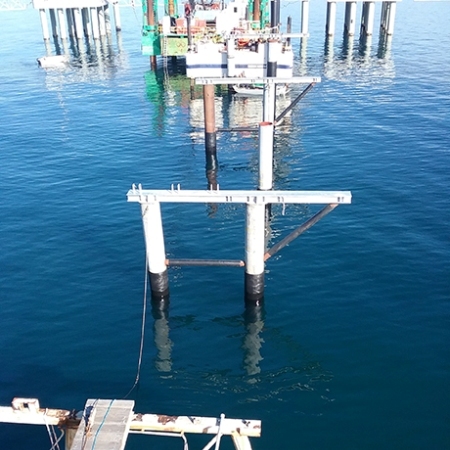 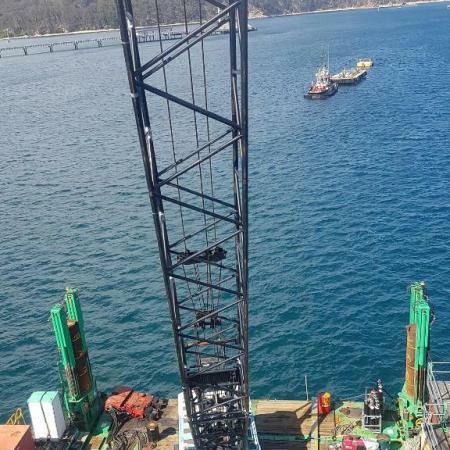 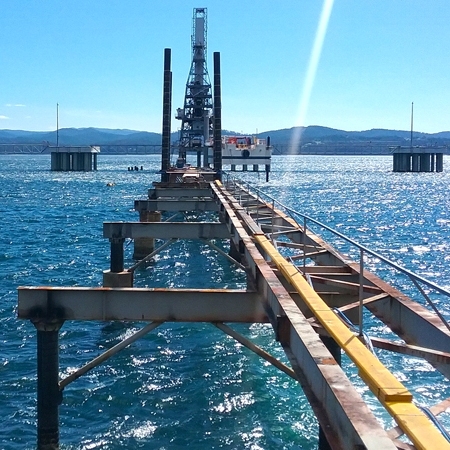 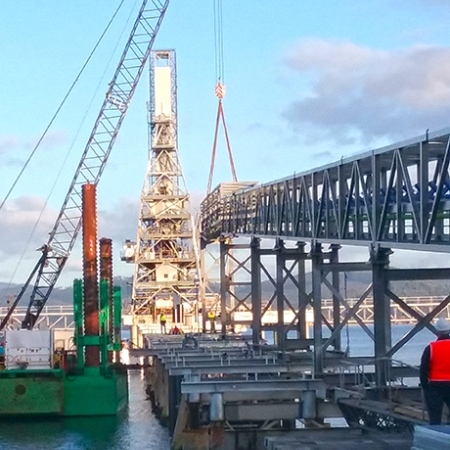 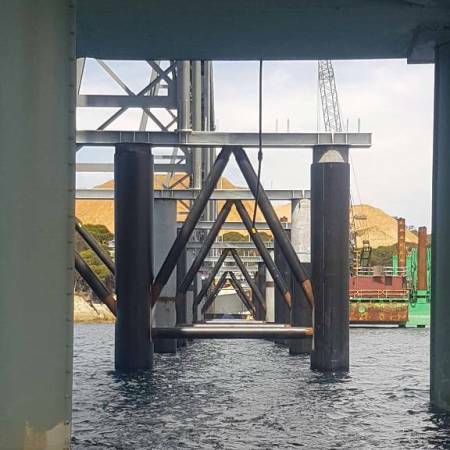 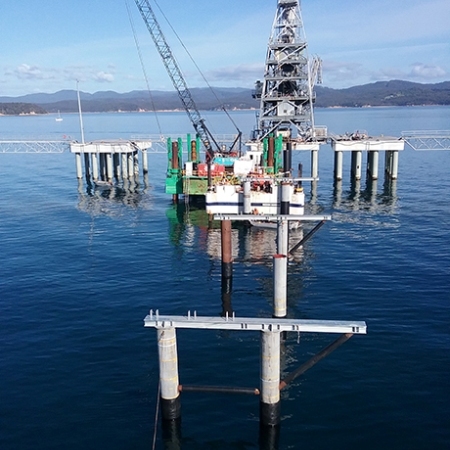 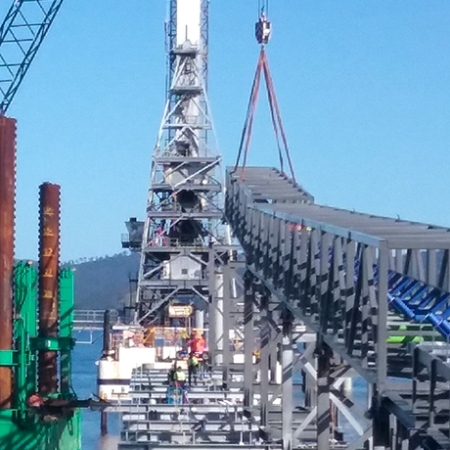 Foreshore Marine teamed with Australian Marine Associates to form AMC and with the combined knowledge of marine construction and engineering, and marine geotechnical surveying and environmental background, the contract was completed in time and on budget. 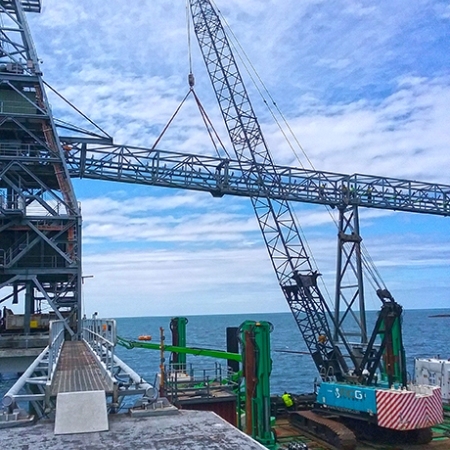 From opening discussions with the client in July 2016 to a fully operational conveyor system in October 2016 this shows what our small workforce of contractors and in-house personnel can achieve. 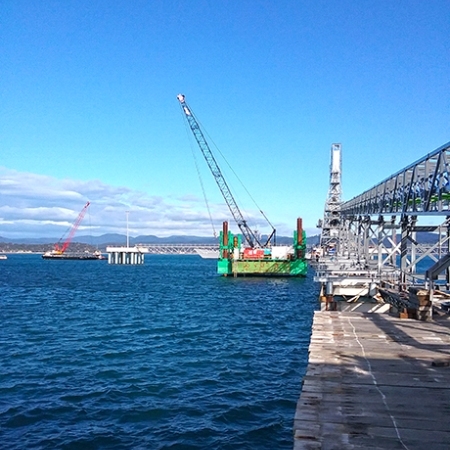 The team worked against extreme weather conditions and critical deadlines to successful completion within three months. 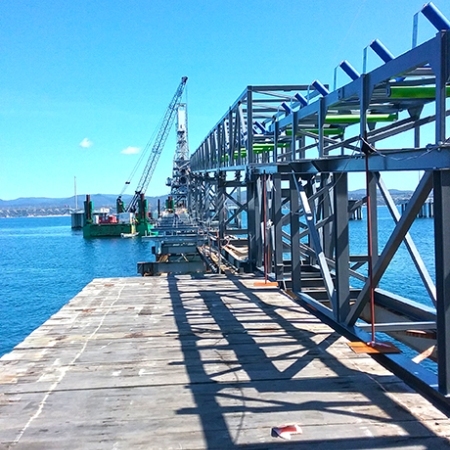 See ANWE’s newsletter for details and photos of the project from start to finish! 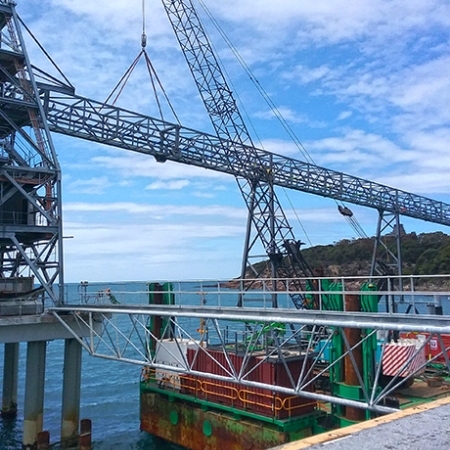 Lifting conveyor sections by crane mounted barge.